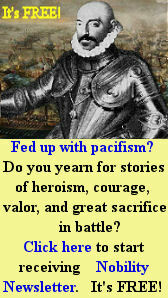 Question: Was there a certain revival of the crusading spirit in the Cristero war? No. I think there was a great religious dedication, one that was taken to a heroic degree, but not a revival of the spirit of Crusade. Question: What would be the difference? The impression I have is that the Cristeros perceived well that their fidelity to Our Lord Jesus Christ was opposed to reneging Him. And therefore, that if they did so they would commit a mortal sin and lose their souls. Bl. 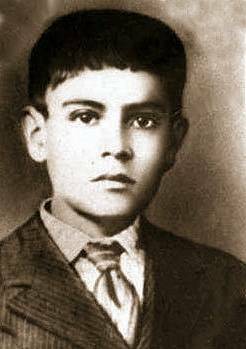 Jose Luis Sanchez del Rio, Cristero martyr. So, out of love and fear of God they refused to deny Our Lord Jesus Christ and were killed. They were martyrs. Now, the Crusader went beyond that. The Crusader had an admirably accurate vision of the, so to speak, mystical-metaphysical value of the Crusade. And I have the impression that the Cristeros only saw the problem the way I mentioned. 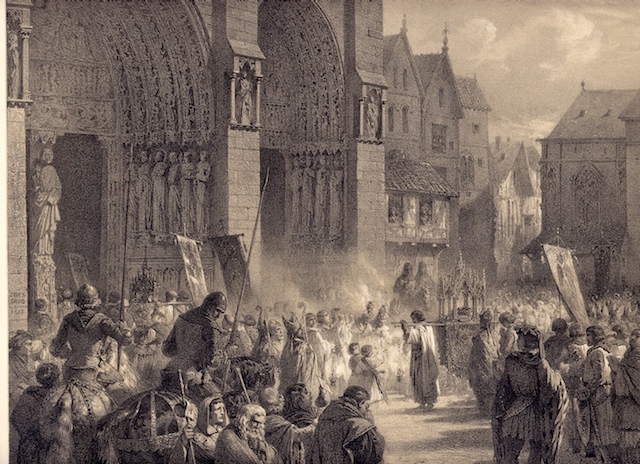 King St. Louis IX, carrying the Crown of Thorns from the Holy Land, and bears it in procession to Notre Dame, Paris, August 18, 1239. So, for example, the Crusader saw everything that the Holy Sepulcher of Our Lord Jesus Christ meant. For the Cristero, it was the place where Our Lord Jesus Christ was buried. 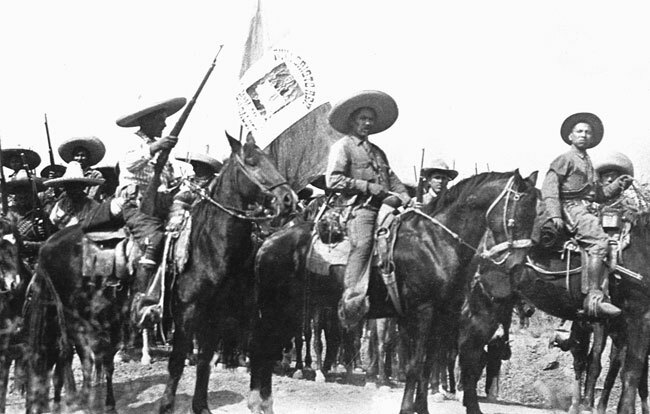 But all the sublimity that derives from this fact was not part of the Cristero’s state of mind. 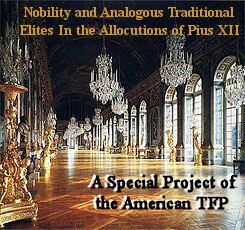 For example, what Saint Louis saw in the Crusade which led him to go barefoot and dressed as a penitent carrying the monstrance containing a Thorn of Our Lord’s Passion – because that Thorn has this or that connection with his mission and is a relic that touched the God-Man etc. I have the impression the Cristero did not have that mindset which saw the supernatural and metaphysical-natural pulchritude [beauty] of the Crusade in the highest degree. I will tell you more: I have the impression that he did not have it for any practical purpose, that is, the common purposes of life.